In celebration of the 50th anniversary of Grateful Dead, the "core four" original members - Mickey Hart, Bill Kreutzmann, Phil Lesh, and Bob Weir – reunited at Chicago's Soldier Field on 4th of July weekend for one of the most anticipated concert events in recent history. Joined by Trey Anastasio, Jeff Chimenti, and Bruce Hornsby. Fare Thee Well: Celebrating 50 Years Of Grateful Dead is the original members' last-ever performance together nearly 20 years to the day of the last ever Grateful Dead concert with Jerry Garcia, which took place at the same historic venue. 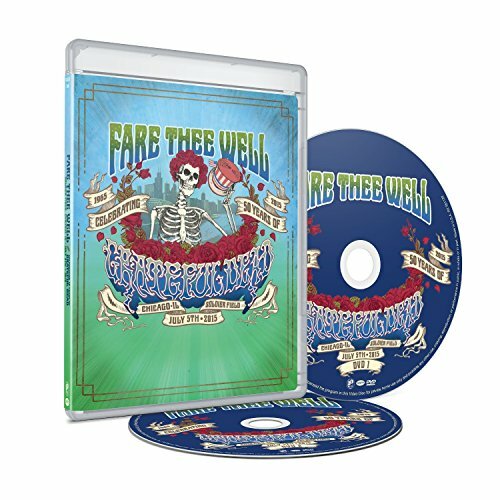 Fare Thee Well: Celebrating 50 Years Of Grateful Dead 2 DVD version contains full high-definition video from final show (July 5). Over 3 1/2 hours of this record breaking weekend at Solider Field in Chicago.